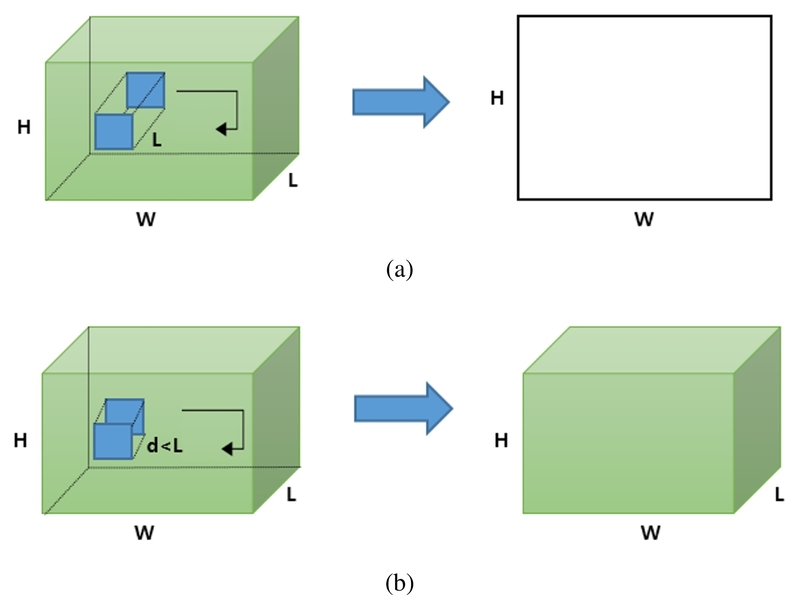 Differences between 2D and 3D convolution operations . (a) A 2D feature map with spatial features as output after performing 2D convolution kernel. (b) A feature map with spatiotemporal features as volume output after performing 3D convolution kernel.